In order to protect your payroll data, it is always recommended to take a backup of your payroll to a safe location, for example to an external device, server or cloud environment. This ensures that your payroll data is saved elsewhere and can be re-instated in the event that you suffer a PC breakdown or crash. 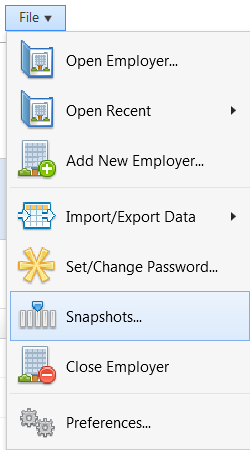 1) Within ‘Create Snapshot’, click 'Browse' to select the location where you would like your backup file to be saved. 2) If you would like to enter an associated note that could later assist in identifying a particular backup file, simply type your note in the box provided. 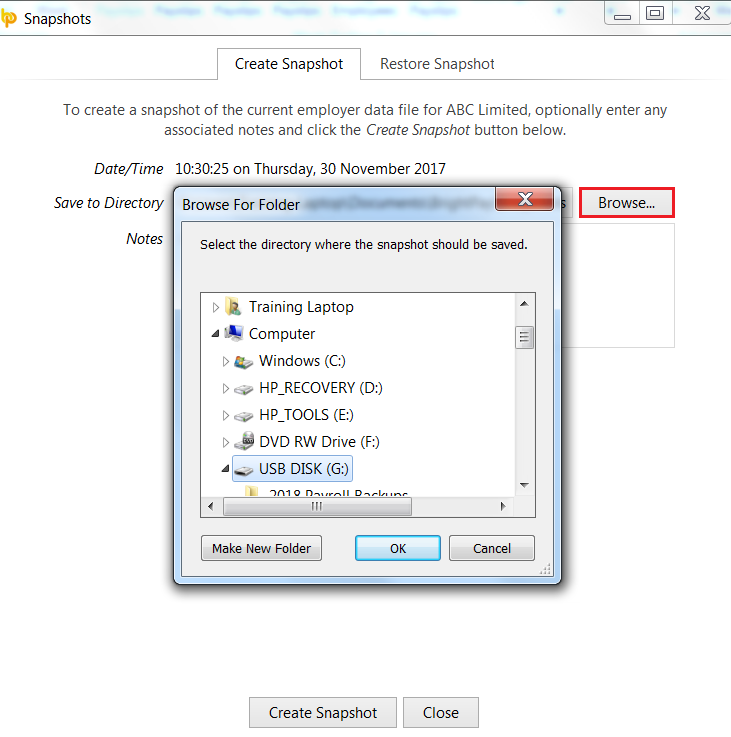 3) When ready, click ‘Create Snapshot’ to complete the backup process. Please note that a backup can be performed at any time, for example after updating a payroll period or just before exiting the payroll.